I always enjoy the dialogue with Jim and John when I’m invited to be a guest on the Focus on the Family daily broadcast. 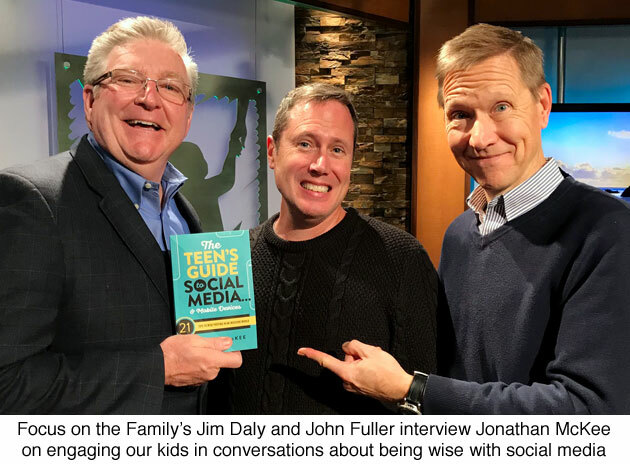 On this Wednesday’s broadcast Jim interviewed me about my new book The Teen’s Guide to Social Media & Mobile Devices, asking how it can help parents open up this important dialogue with their kids. At this point in the interview he asked me how to help parents engage in a conversation about online safety in a way that kids will actually listen.